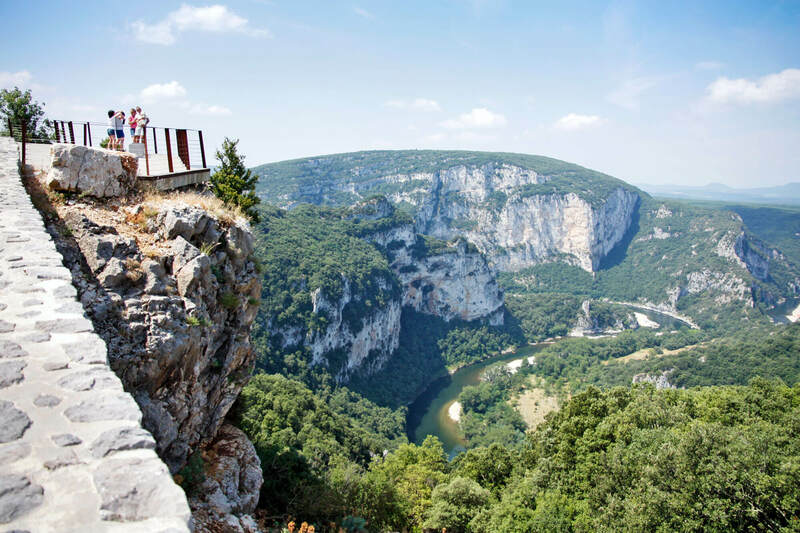 Located in the south of the department, the Gorges de l’Ardèche shapes the countryside over more than 32 kilometres in length, between Vallon Pont d’Arc and Saint Martin d’Ardèche. The latter are an integral part of a nature reserve of 1,575 hectares, which accommodates more than a thousand plant and animal species: a genuine pleasure for adventurers! 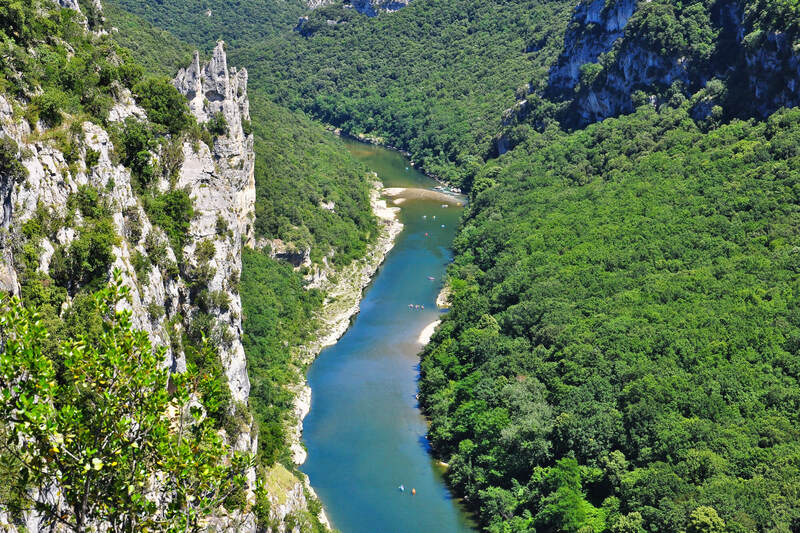 To discover this unspoilt nature area, located a short walk from Les Ranchisses, there is nothing like walking the numerous marked trails or a magnificent descent by canoe. You may also take the panoramic road by car, punctuated by panoramic viewpoints, it gives you theideal vantage point for souvenir photographs. 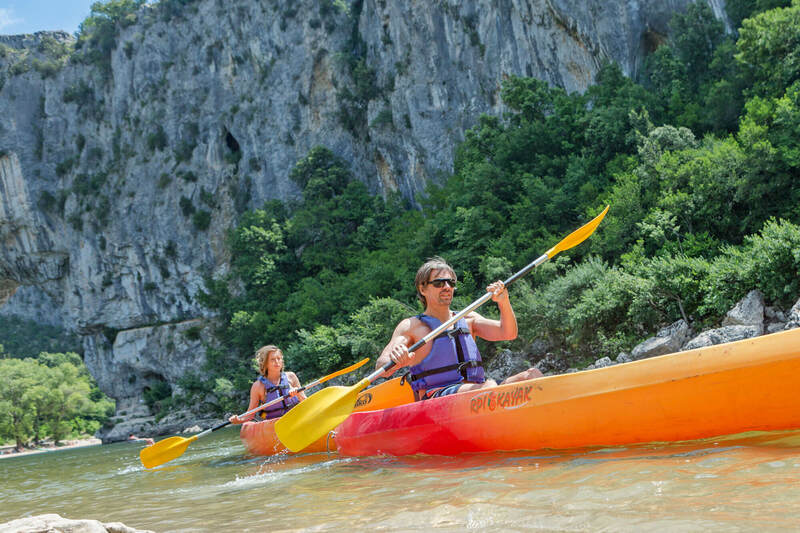 If you decide to make the descent by canoe over 2 days, do not forget to book your place on one of the two bivouac areas located at the heart of the Gorges de l’Ardèche National Nature Reserve (a major part of the Ardèche gorges).